Wesleyan School Procession Main Road Harbour side, Mousehole. Wesleyan School Procession Main Road Harbour side , Mousehole. 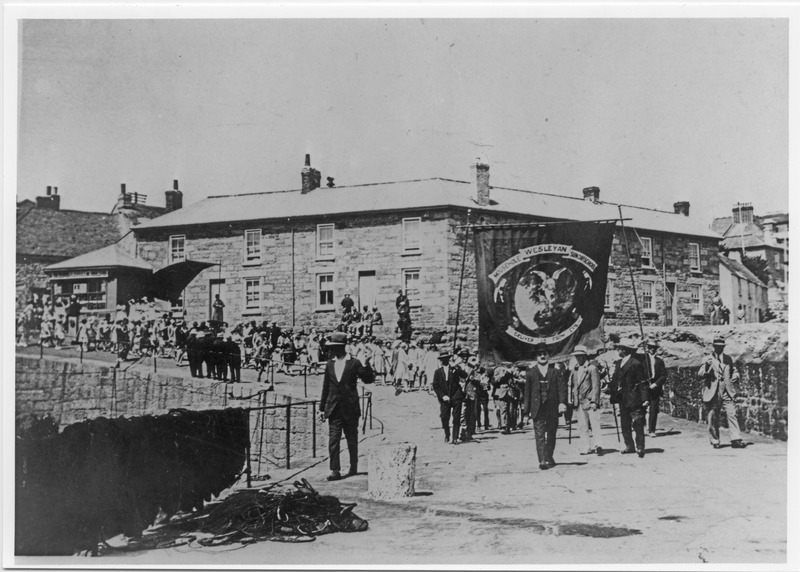 “Wesleyan School Procession Main Road Harbour side, Mousehole.,” Morrab Library Photographic Archive, accessed April 24, 2019, http://photoarchive.morrablibrary.org.uk/items/show/4669.